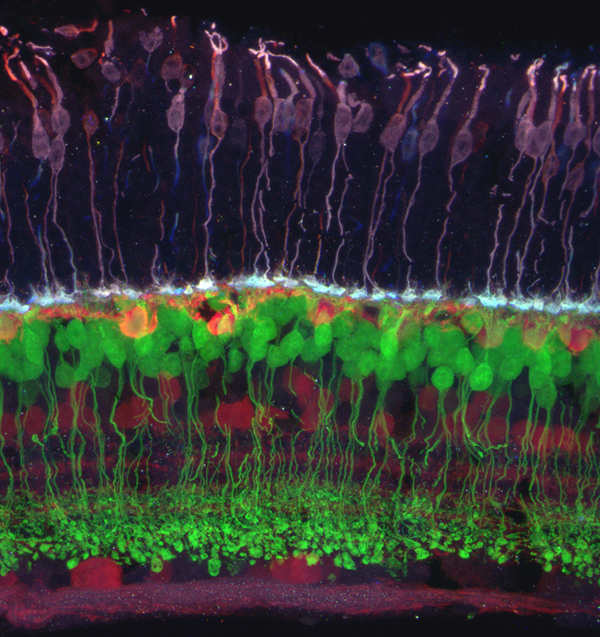 Tomorrow, April 19th at 4pm, as part of the Program in Neuroscience Seminar Series, Dr. Rachel Wong will be delivering a seminar on “Developmental Strategies Underlying the Wiring Patterns of Retinal Neurons” in the Eccles Institute for Human Genetics at the University of Utah. Dr. Chi-Bin Chien from Neurobiology & Anatomy is hosting. Come on by if you are in town. It should be a great talk. Image credit: Josh Morgan, Rachel Wong laboratory.